Some people dream of being a being a professional athlete. Most of us realize what it truly takes to get to, and perform at, the professional level. While I am not, nor was I ever a professional athlete I have spoken to a few of them. This article will outline some of the things professionals said helped get them to the elite level. There has been some proven research on the fact that mental practice is as active as physical practice. Studies show that mental imagery brings impact to most cognitive processes in the human brain such as perception, attention, motor control, memory, and planning. There was a study published in 1996 in the Journal of Sport and Exercise Psychology that proved that imagining heavy weightlifting lead to actual changes in muscle activity. Every athlete should always imagine himself perfect in his or her line of specialization. This will help put you in a state of mind to perform even better in that field. There is also the deletion of the inner monologue of fear. Through the existence of significant challenges, progressive athletes are always in high control of whatever they do. They positively talk to themselves. One of the best ways to get rid of fear is to talk to yourself positively in your mind. Having motivational and instructional self-talk helps give you a leg up. It’s not always easy to do, but it can have huge advantages and is something that many successful athletes and business people alike practice. Another key tip is selecting and setting goals. It is evident that all Olympic athletes have some clear goals that they dream of in their lives. It is also a fact that they were once amateur athletes whose only dreams were to compete with the best athletes in their field. 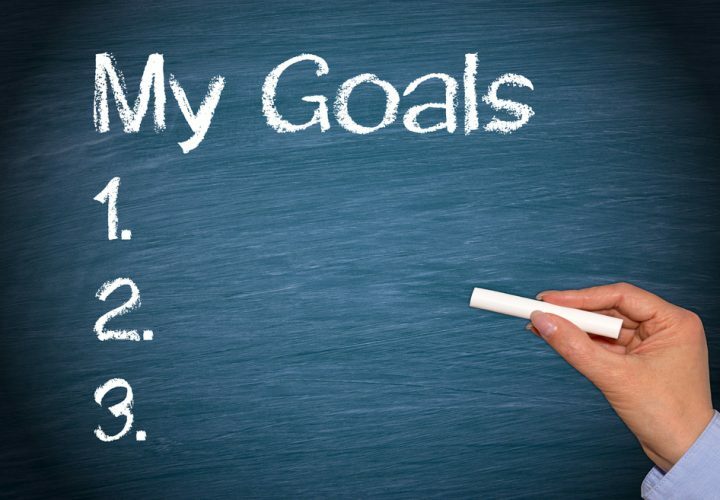 When setting goals, it is best to write them down and put them in place you will always see them. Always ensure that your goals are at the foremost part of your mind. Let your intentions be your behaviors, and very soon they will turn to become your habits. Every athlete should also learn to “get in the zone.” Programming your mind to be in the zone can help any athlete in achieving consistent optimal performance in his or her sport. Being in the zone can be defined as a mental state whereby an individual can transcend some conscious thoughts, and as a result, he can achieve some heightened and effortless confidence calmness and concentration. This being in the zone state helps to keep both internal and external distractions and pressure from slowly creeping into any athletes mind and eventually harming their overall performance. One of the best ways to attain this is by practicing, practicing, and practicing some more. If you practice your sport so much that it becomes effortless, you will eventually be able to perform it like it’s second nature and it will be much easier to feel in the zone. Not every day is going to be the best day of your life. Conversely, not every day is going to be the worst day of your life. Learning to trust the process and continue to work on the little things day in and day out is a huge factor in success. Learn to trust in the process by making sure you’re doing what needs to be done whether it feels like the best day ever or the worst day ever. Trust that by taking small steps every day you will end up accomplishing great things. Always remain and stay positive. No athlete ever started as a success. Success is a process they all dreamt of and had to get out of their comfort zones and work for it tirelessly. No one is ever as good as his best day nor as bad as his worst day. You should always aim higher and have the hunger and drive to be better. Another success tip is protecting one’s brand. One might not be getting paid to play but is always good to play as if you are in a single day contract worth a million dollars. Work the hardest you could to please your boss for him to renew the contract. You should always realize that regardless of whether you are playing for fun, at a school tournament, or a college conference championships you are a brand and should give your best to protect the brand and be seen in a positive view as a brand worth investing in. Act like you’re in the big leagues in practice and you will develop habits that have the potential to put you there. Putting in extra time also helps in perfecting any task. This a very vital success tip to any serious and dedicated athlete. Successful athletes always make sure they take the time that is needed to keep practicing and perfecting their craft. A big difference between a good athlete and a great athlete is the amount of time put in. Kobe Bryant would make 400 shots in practice every day. No matter how long it took him, he wouldn’t leave practice until he made all of his shots. Success requires many things. You must get your mental game on point; eliminating fear, talking positively to yourself and envisioning your success. Set goals and use those goals to create good habits that will be the foundation for your success. Stay positive and trust the process and make sure you’re putting in the time needed to master your craft so that you can become one of the best.